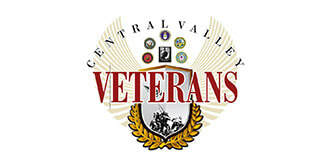 ​Central Valley Veterans is an all-volunteer, non-profit 501(c)(3) corporation. To engage the community and coordinate efforts with other Veteran organizations to ensure that Fresno and the Central Valley are “Veteran Friendly”. Central Valley Veterans (CVV) strives to respond to the emergency needs of our local veterans, service members and their families, filling in the gaps to which other Veterans’ organizations are unable to respond due to program restrictions. Over 90% of all donations go towards direct support for our Veterans, Active Service Members and their families. CVV feels that we owe it to those that did not return to us to help those that did. Our goal is to provide temporary support that translates into permanent solutions. Our priorities are to keep our Veterans in permanent housing and working. Single parents with children are given first priority over other requests. We do not ask about discharge characterization as we know that Post Traumatic Stress Disorder can begin while our service members are still on active duty.